There are lots of different reasons why it is necessary to have a bug out backpack. While some may find it an irrelevant venture, there are others who have seen how useful a bug out bag can be in a situation of life and death. This article is geared towards our readers who are new to the life of a prepper and those who still have doubts about getting a bug out bag. Keep reading and you'll find relevant reasons of why and when you will need your B.O.B prepared. Different factors have been considered in making this selection. If you wish to make a choice, there are a few factors to consider to ensure they meet your requirements. You should be looking at the price, the material used and size of the bag primarily before you buy. In most cases, a bug out plan is usually a last resort if things begin to get out of hand. This is because it may put your life in more danger to be on the move on most occasions. If you have tried all the necessary means and they all seem to fail, you should have a bug out plan as a fallback option. If your current location becomes unsafe for you to stay, then it would be a very easy decision to leave the place if you have a bug out kit at the ready. These situations usually come up without any prior warning. Therefore you will need something to be prepared if you hope to survive on such occasions. 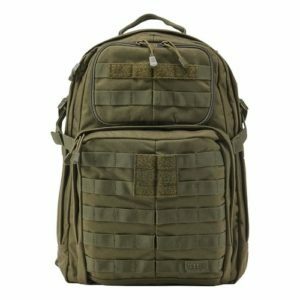 Check out this 3 Day Assault Backpack from Condor to get you started. There are different emergency scenarios where you will need a bug out bag when leaving. If you consider a tornado or a flood, it is right to think about why you will need a bag for such a case. Especially when there are warning systems to tell you days in advance before the disasters occur. So even though you can get a head start on leaving the area before the disaster occurs, what happens if you find it difficult to make your way back after? In such a situation, it is possible that help from any government agency will not get to you or your family as quickly as you need. Your supplies may have run out by then and then what?. So with this in mind, having a bug out backpack ready with food and water for you and your family can be the means to ease the difficulty ahead. Bugging out does not imply you just pick your bag and start walking around without a clear direction. A proper bug out plan will involve a location where you are headed. 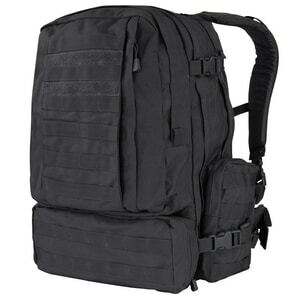 Your bug out backpack gives you the opportunity to pack the essential items which you will need if you are to survive as you move from your current location to the next. This new location should be a form of haven which should be able to cater for your needs in the long run. A B.O.B is used to pack all these essential items into. This means that whatever you pack must be necessary for you and your families survival. You won’t be needing your fancy clothes, shoes and other luxury items at this point. You should consider reading articles on what to find and build the best bug out backpack. This will guide you in building the most suitable pack for your needs. As much as possible, you should always remember that the space in the bag is important and you must maximize its use. Water and food rank as the top two most essential items in any serious EDC bag. Remember there is a limit to how long a human can survive without these items. While you can survive up to three weeks without food, the maximum you can go without water is three days. Always remember this when packing your BOB. I personally love the taste, size and calorie count of the Millennium Energy Bars range. To go through the process of replacing important documents that have been destroyed during a natural disaster, like a flood, can be quite stressful. A bug out backpack can help protect these important documents. They also come with compartments so you can keep them concealed from prying eyes. There are a few documents which are very important that you should have extra copies of. These are your birth certificate, passports, drivers license and insurance policies. When you have to leave in a hurry to avoid any disaster which is approaching your location, time is usually not a luxury. This means you may either have little time to pack what you need or no time at all. So it is in your interest to have a fully packed bug out backpack ready to go at all times. Especially if you are someone who requires regular medication. Don't forget to pack additional stores of this too. When considering your bug out backpack, you may also need to leave it at home most times for safety reasons. This is a good idea, but this also means you should have one for everyday carry use. An everyday carry (EDC) bag can be taken along with you to anywhere you go. Therefore you will at least have a few items to use whilst you make your way to your tactical backpack at home. When choosing a pack, there are lots of different types available from which you can make your pick. Below are some of the best available today. Different factors have been considered in making this selection. If you wish to make a choice, there are a few factors to consider to ensure they meet your requirements. 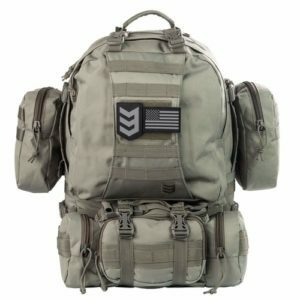 When you do choose a bug out backpack, remember to look at the price, the material used, size of the bag, and other additional features you will be getting.